I LOVE Harry Potter (I'm a huf/rav), warriors, art, dragons, writing, reading. In year 6, I love cats and dogs equally. I F4F. 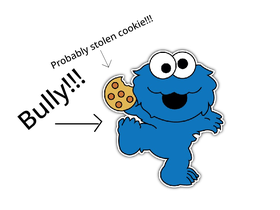 Cookie Monster is a bully!!!!! !